It was midnight. I find myself walking in the street alone. Suddenly someone called me by my name. I look back. There was this guy. He was not moving or coming any closer. ?Just standing there. As if he was there for eternity. 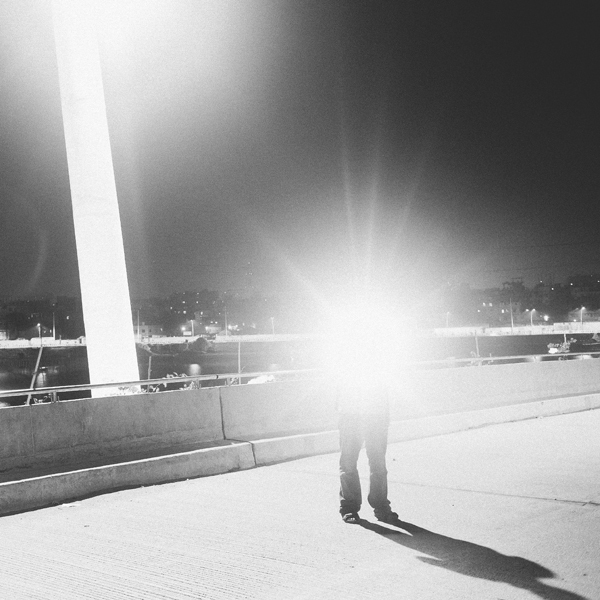 It was dark; couldn?t?see his face clearly. I shouted who is this??? 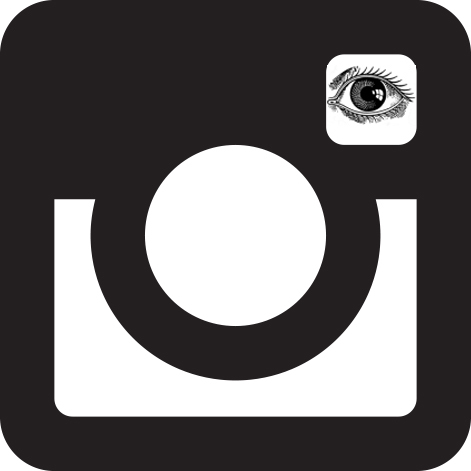 He replied, Protick, don?t you recognize me? I said no. who are you? He replied: This is Haru. I was surprised. So you are Haru! I know you?I read your stories. Saw you on the moon few weeks back. What are you doing here in the middle of the night? He said, I was passing by, just came by to say hello to you. I asked, where will you go now? Haru replied, I am off to the M82 Galaxy, also known as the Cigar Galaxi. Just to see how it is. I said, Ok.. See you again! Here is a photo of Haru taking a Hyper drive. Most people find shelters for senior citizens depressing and avoid visiting them. 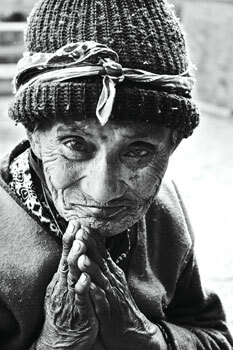 But working on this photo feature at the Pashupati Bridhashram over the past six months, I have been inexplicably uplifted. 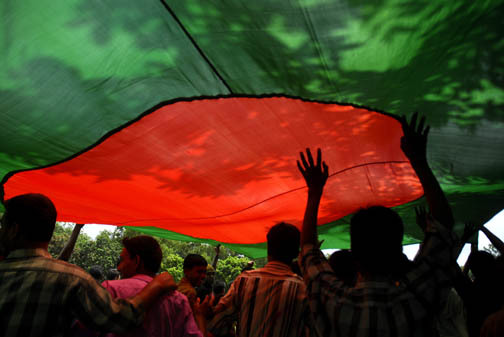 I forget the stress of living in Kathmandu and my homesickness for my native Bangladesh. 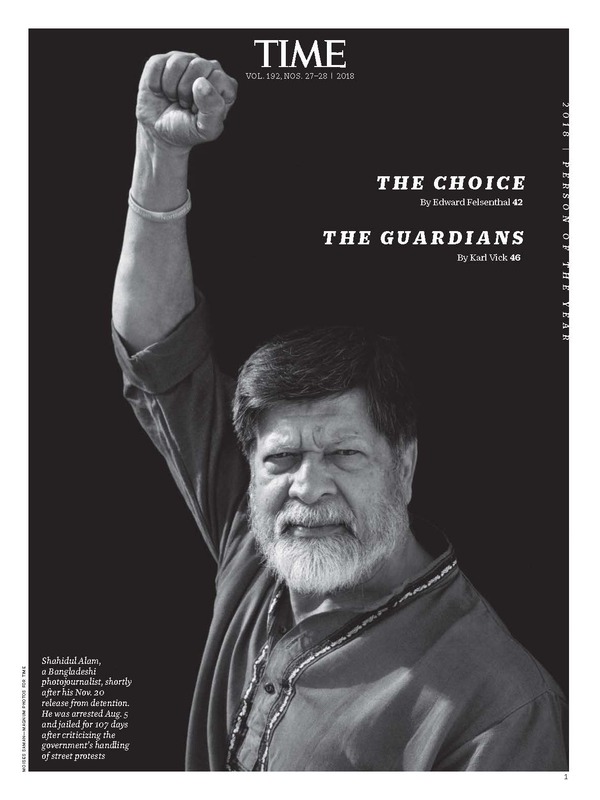 I feel fortunate that I have a family, as many of the senior citizens once had. But what gives me hope is that even though they have lost families and possessions, they still care. They care for each other and they retain a deep sense of humanity. 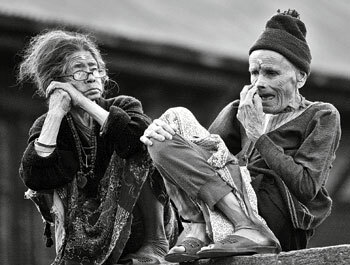 The story of how they landed up here is almost always the same: in their old age they became a burden on their families who dumped them at Pashupati. For the elderly, it?s sometimes a relief that they are in such a holy place and don?t have to bear the taunts of a home where they are no longer welcome. None of them came here willingly and no one has anywhere to go. 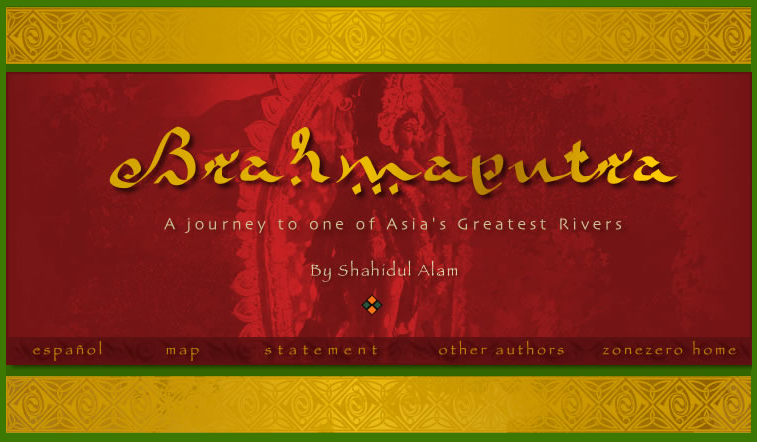 The Pashupati Bridhashram is run by the government so its budget is limited, it is congested, short-staffed and shows signs of mismanagement. 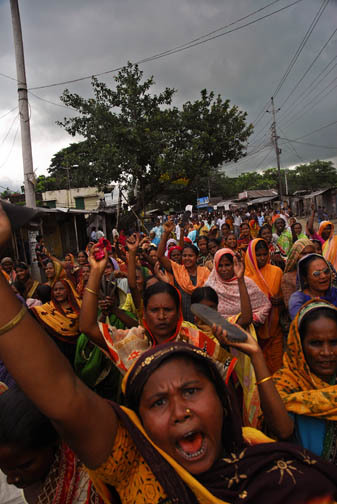 There are 230 residents, 140 of them women. GREETING: ?Namaste, aram?? That is how Sankule Lati, 77, greets strangers with a namaste and a quick tilt to her head. 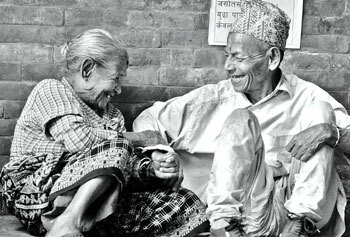 LAUGHING: Til Kumari Khatri, 71, and Yadongba Tamang, 70, laugh and play like children. Til Kumari has been here since 1998. Her daughter-in-law brought her to the shelter one day and left saying: ?I?ll be back soon.? She never came back. CHANTING: Every morning and evening residents gather for bhajans. Those who can?t walk to the prayer room chant from their own beds. 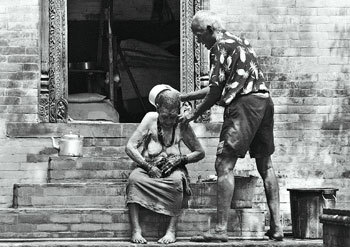 BATHING: Dhana Kumari Ranabhat, 99, takes a bath with the help of her husband Dil Bahadhur Ranabhat, 90. The couple is lucky, few here still have their spouses. Dhana Kumari was forced here after her husband died but married Dil Bahadhur, a retired soldier. 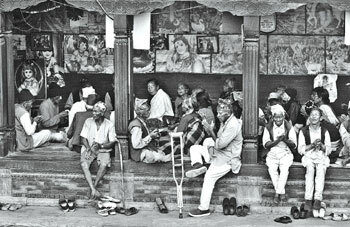 CHATTING: Tirtha Maya Thapa, 75 and Man Kumari Thapa, 75, sit and chat. Tirtha Maya was so busy taking care of her parents, she never married. 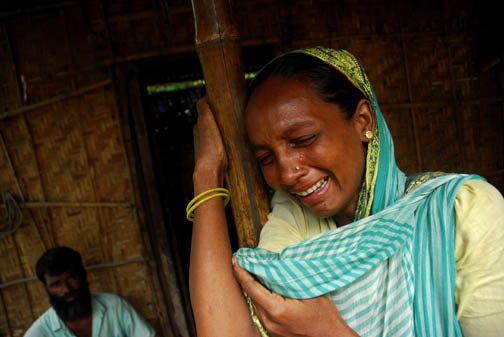 But after they died, her relatives evicted her from her house. Man Kumari?s long lost son came and took her home a few months ago. EATING: Bishnumaya Lati, 72, takes her evening meal with her two favourite dogs in attendance. She lives here with her husband. 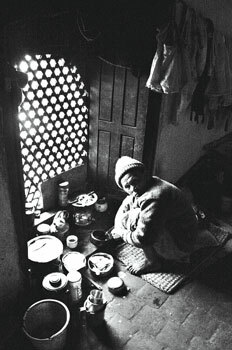 COOKING: Kanchi Khatri cooks food in the shelter. 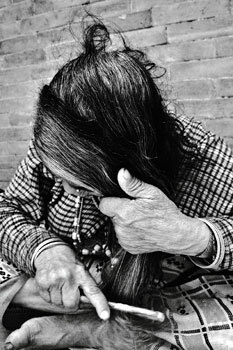 She was the maid servant at the home of an astrologer and when she was no longer able to work nine years ago, her employer brought her here. 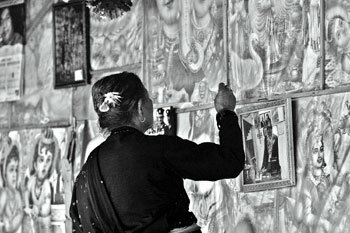 PRAYING: Laxmi Thapa, 68, prays to a wall full of pictures of the gods. She doesn?t remember where she was born or her family since she was married very young. 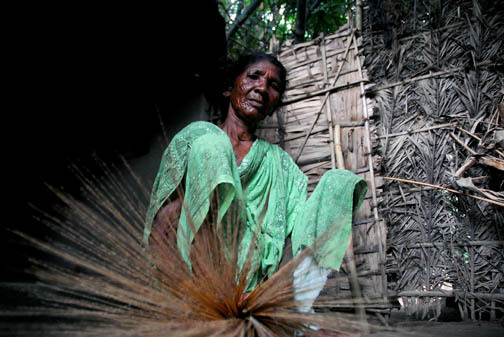 Laxmi worked as a domestic all her life. Her alcoholic husband used to beat her up. When she broke her arm, her employer abandoned her so she came here. Now she prays all the time. ?I spent all my life helping others,? she says, ?now there is no one to help me.? 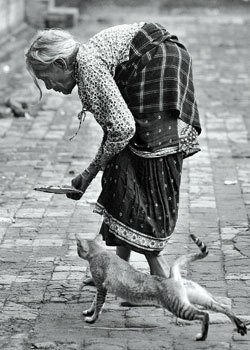 FEEDING: Dipa Thapa, 75, has two pet cats in the shelter. They are her only friends. 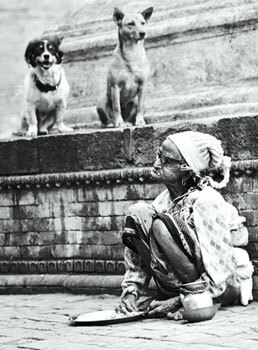 She used to sell flowers in Pashupati and when her husband died, she came here. 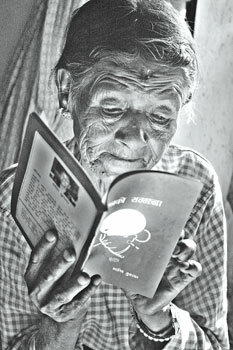 COMBING: Ratna Maya Katiwada, 68, has kept to herself since she came here three years ago. No one knows the whereabouts of her family or where she is from. My son has grown up but what has he done? These strangers are family now.